Valerie Confections is branching out yet again, turning its corner retail space on 1st Street in Historic Filipinotown into a spot for grab-and-go sandwiches. 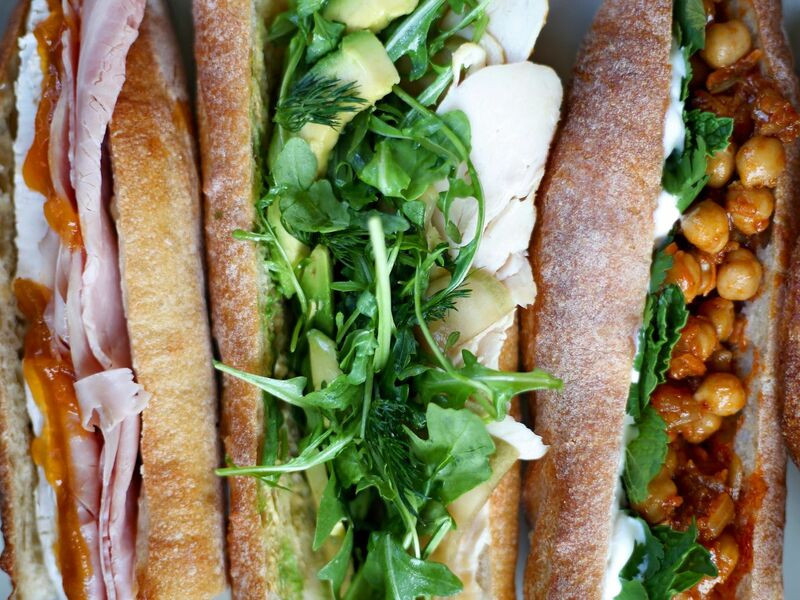 The new sandwiches launch this week, with a rotating menu that includes classics like ham and brie and a California option with smoked chicken, avovado, arugula, all served on Bub & Grandma’s baguettes. Sandwiches run $8 a pop, and will be premade and available to-go from the case inside, with options rotating every three to four days or so. Cacao Mexicatessen is already back up and running in Eagle Rock, following a sudden kitchen fire over a week ago. The restaurant reopened late last week. La Brea’s busy bakery and coffee corridor has a new contender named Neighborhood. The sunny space lands at 133 S. La Brea Ave., and opened at the beginning of the month. Pacifique in West Hollywood has a happy hour to know about. The new restaurant is doing a variety of $5 bar snacks as well as $10 cocktails and $7 glasses of wine. The timing is great, too: All night on Mondays, and 5 p.m. to 7:30 p.m., Tuesday through Sunday. The Larchmont location of Louise’s Trattoria looks to be flipping to a Maria’s Italian Kitchen soon, per some ABC paperwork in the window. Check out this new seafood spot at the Westfield Century City. 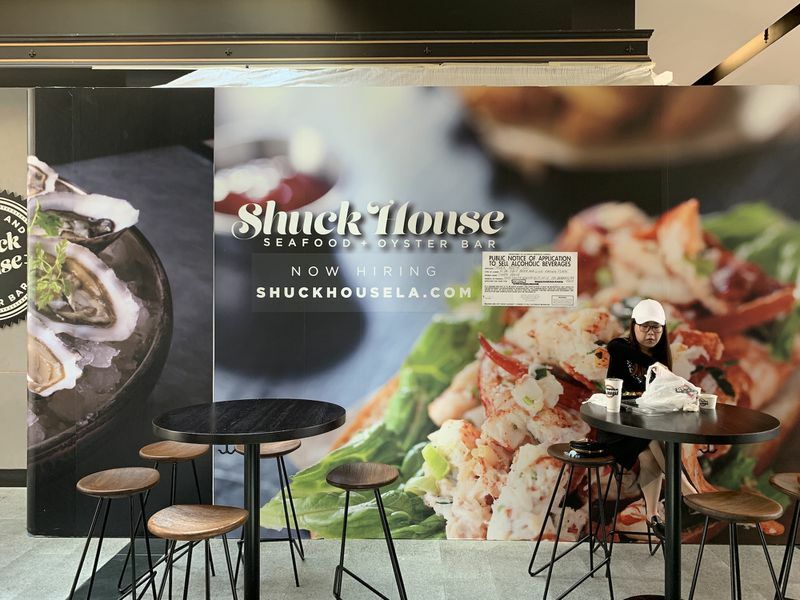 Shuck Oyster House sits just off to the side in the main dining pavilion, and is hiring up now.